Newly promoted Premier League side Wolverhampton Wanderers have completed the loan transfer of Belgium international midfielder Leander Dendoncker from Anderlecht. 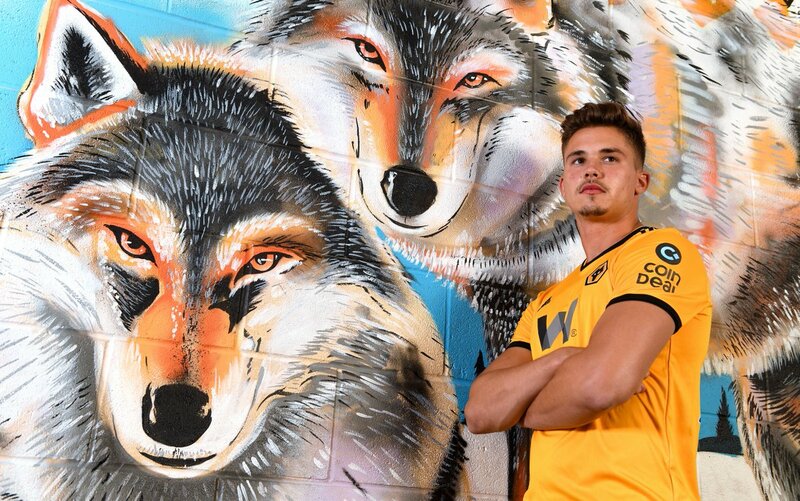 Dendoncker, 23, joins Wolves on a season-long loan deal that will become permanent for £12m by next summer. He becomes the club’s sixth signing of the summer after Adama Traore, Rui Patricio, Jonny Castro Otto, Joao Moutinho and Raul Jimenez. Dendoncker joined Anderlecht’s youth team in 2009 before netting 11 goals and providing four assists in 171 appearances. He was part of the Belgium squad that finished third at the recently concluded FIFA World Cup tournament in Russia. “This is the biggest league in the world so it’s very nice to play every week in here. They told me if I come here I will become a better player so we’ll see, I’m very excited to start. “I followed Wolves a bit last year and I saw they did really good, winning a lot of games, playing good football. I think it’s an ambitious club so I am ready to give everything.” He concluded.